Snowboarder Chloe Kim of Team USA celebrates her gold medal win. A disqualified speed skater, a crash in the women’s singles luge, near perfect scores in men’s snowboarding and a bloody fall in the women’s halfpipe are just a few moments to remember from Day Five of the Winter Olympics. The medal count Tuesday morning puts Norway at the top of the Winter Olympics leaderboard with 11 medals so far. Canada and the Netherlands both have 10 medals to date. Germany claims nine medals overall, but have the most gold medals with five total. The United States has six: three gold, one silver and two bronze. The first week of Winter Olympics is almost over. Here’s who we’re watching next, and a quick recap of recent Olympic highlights. Mikaela Shiffrin of Team USA is seen at the Yongpyong Alpine Centre as the women’s giant slalom at the Winter Olympics is postponed due to high winds. Wednesday marks Day Six of the Winter Olympics, and there are medals to be won. U.S. alpine skier Mikaela Shiffrin, 22, will compete for the gold in the slalom portion. Married couple Alexa Scimeca-Knierim and Chris Knierim, who helped Team USA take bronze in the team figure skating event earlier this week, are representing the U.S. once again on the ice. Today, 22 teams will compete in the pair short program. The best 16 teams will move on to compete for a medal in the final pair free skate on Thursday. All eyes will also be on Shaun White during the men’s halfpipe finals tonight to see if the 31-year-old can maintain the No. 1 spot and do what he couldn’t in Sochi: clinch the gold. Tonight in women’s ice hockey, Sweden faces off against Switzerland, and a unified Korea team plays Japan. In men’s preliminary rounds, United States faces Slovenia while the Olympic Athletes of Russia play Slovakia. Notably, this is the first Winter Games since 1994 that National Hockey League players won’t compete for an Olympic medal. The league said it would not send players, in part, because the Olympic Committee was no longer funding their travel. Medals are up for grabs as female speed skaters also compete in the 1000-meter race today. There are 31 athletes in total vying for the gold, including world-record holder Heather Bergsma of Team USA, a medal favorite. The U.S. has yet to win a medal in any speed skating event so far in Pyeongchang. In the women’s 3000-meter race, Netherlands took gold, silver and bronze. America continues to win big in snowboarding. Snowboarder Chloe Kim, 17, wins gold in the women’s halfpipe competition on Feb. 13. Women in the halfpipe finals had three runs, but only the best score counts in determining podium standings. 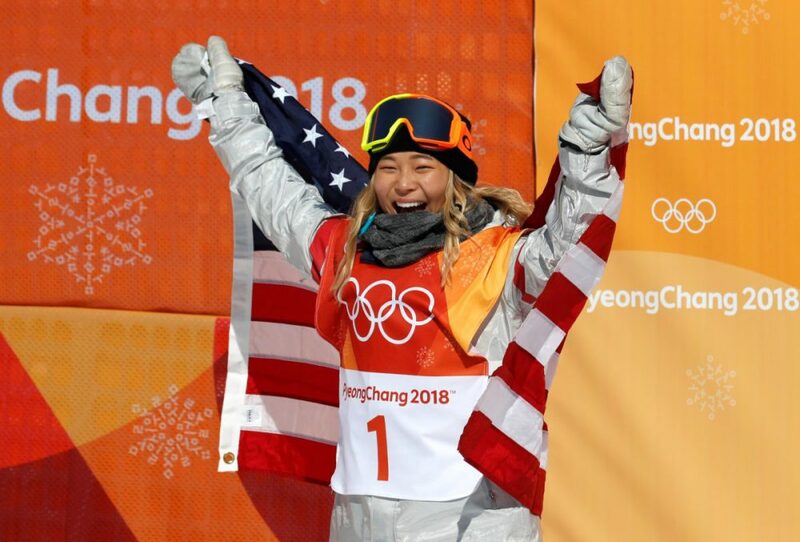 Chloe Kim, the 17-year-old Korean American representing Team USA, was in a league of her own. She had already won her gold medal before taking her third run with a top score of 93.75 that outdid her competitors. Kim then, on her third and final run, outdid herself scoring 98.25 in her victory lap. “I did put down a really good run [in the first run] but I was like, ‘I can do better than that’. 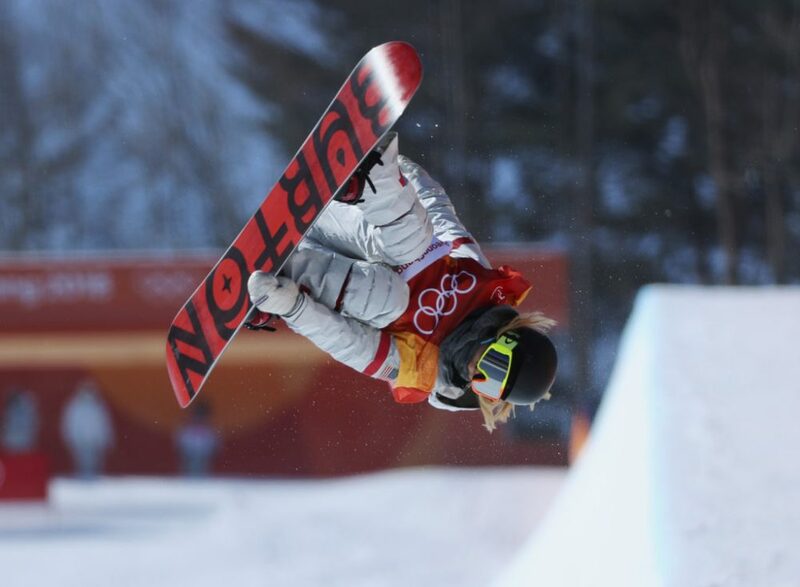 I knew that I wanted to do that third run, I wanted to do the back-to-back 1080s, go bigger and better,” Kim said. China’s Liu Jiayu claimed silver with 89.75, almost 10 points behind Kim. Arielle Gold, also of Team USA, got the bronze. U.S. snowboarder Shaun White came to Pyeongchang to redeem himself after finishing in fourth place in Sochi in 2014. In the men’s halfpipe qualifying round, White nabbed the No. 1 spot heading into the finals with a near perfect score at 98.5. The medal for men’s halfpipe will be awarded Wednesday. 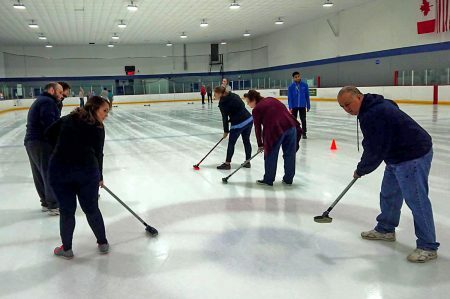 Other nations win big in curling, luge and speed skating. 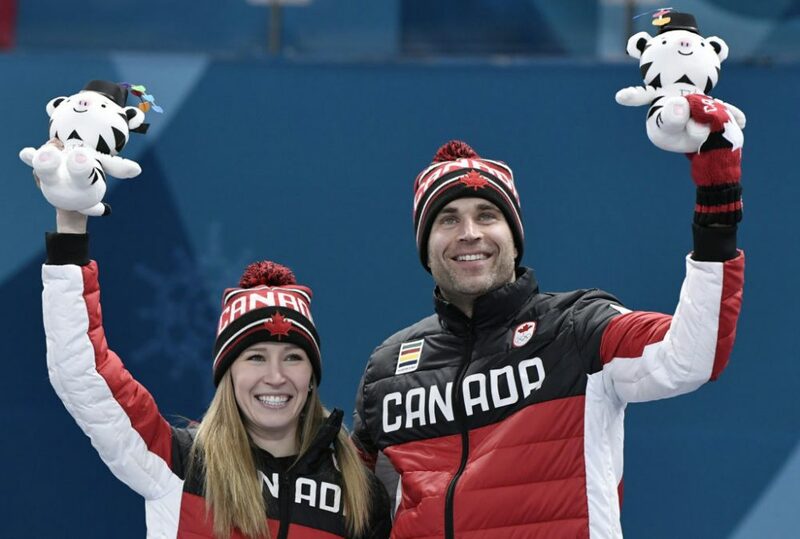 Gold medalists Kaitlyn Lawes and John Morris of Canada celebrate during the victory ceremony at the 2018 Winter Games. The curling mixed doubles, a co-ed portion of the sport making its Olympic debut in Pyeongchang, has concluded with Canada taking gold, Switzerland claiming silver and the Olympic Athletes of Russia taking bronze. Russian athletes competing under a neutral Olympic flag have yet to win a gold for their country in the Winter Games. Germany’s Natalie Geisenberger, 30, and Dajana Eitberger, 27, took gold and silver in the women’s single luge. U.S. flag bearer at the Olympic Ceremonies, Erin Hamlin, came .269 seconds shy in the singles event, which separates four runs into two days of competition. A scary moment overtook the track when U.S. luger Emily Sweeney skidded out on the ice, losing control of her sled underneath. Sweeney was taken to the Olympic Village for medical evaluation, she crashed at a speed above 70 mph. In men’s 1500m, speed skater Kim Min Seok scored the first bronze medal for the Republic of Korea in the Winter Games, and just the second medal overall for the republic. 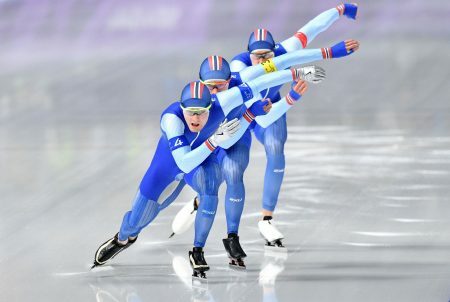 Kjeld Nuis and Patrick Roest of the Netherlands took gold and silver. There was a bit of drama in the women’s 500-meter short-track speed skating finals when South Korea’s Choi Min-jeong lost her silver medal standing after being disqualified for touching the knee of Canada’s Kim Boutin on the track. Boutin would won the bronze. Italy’s Arianna Fontana got the gold with Netherlands speed skater Yara Kerkhof claiming silver.